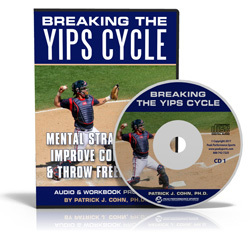 You are here: Home / Baseball Throwing Problem / The Yips: Do You Have Them Or Not? 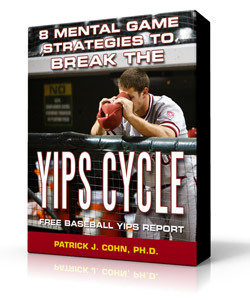 How do you know if you have the yips or your throwing mechanics are off? Well, most baseball players go through relatively similar stages during a bout of the yips. Can you identify with any of the following stages? You know that mental aspects are interfering with your throwing performance. You are anxious or feel cautious while playing. You experience little to no problems during practices. You have thrown accurately for long stretches in the past. 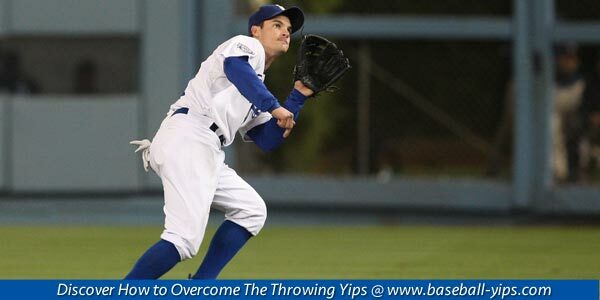 You try to solve the throwing yips by focusing on changing throwing mechanics. You have some fear of admitting to having the yips of fear of embarrassment. Rockies left-hander Tyler Matzek received a record-setting investment 3.9 million dollar after the team drafted him in the First Round in 2009… but accuracy problems have haunted the highly-touted prospect. The throwing yips are the most likely cause of Matzek’s failure to locate his pitches. Since Matzek had a good 2014 season, the issue is probably more mental than mechanical. Matzek began the 2015 season in the Rockies starting rotation but walked 19 batters in 22 innings. Matzek was quickly sent down to Triple-A Albuquerque, after just five MLB starts where he moved to the bullpen. Pitching out of the bullpen, in mostly non-pressure situations, Matzek pitched 10 innings, gave up 4 runs, recorded 13 strikeouts and walked 10. Matzek’s anxiety about pitching led him to leave the team so he could go home to work on his mechanics with his high school baseball coach. Matzek believes the main cause of his pitching woes is mental and he feels a great deal of anxiety when on the mound during games. Matzek has no problem pitching in practice which points to mental factors as the underlying cause of the yips… especially since game-time anxiety causes Matzek’s yips to rear its ugly head. MATZEK: “I don’t think that it’s so much the yips. The yips, to me, would mean I wouldn’t be able to (pitch) in practice. I have had some mental demons that come up when I’m in a game. It’s something that throws my mechanics off. 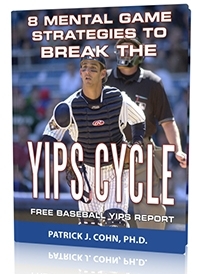 If opposing teams know a player is dealing with the yips, they may attempt to rattle the player in order to throw them off their game quicker. Adopt a fresh approach – If your current strategy of focusing on mechanics has not worked, try something different. The first step to improvement is admitting that your mental game is a factor is your throwing problems, and it’s not a sign of weakness. Look at your mental game, not making more changes in mechanics, not only can you beat the yips, but improve your overall baseball game. Isn’t that why you compete in the first place?